Anyone who's shopped for handmade rugs knows how difficult it can be. After flipping through piles upon piles, sorting through the comparable sizes, prices, and qualities in your head, one can start to get dizzy. Even if you don't, there is simply no way to achieve the insider's knowledge and resources in a matter of weeks or months. The rug world is just the kind of place where one benefits from an expert. That's why my services are unique. I'm told all the time, "this place is like a breath of fresh air! And we've been everywhere..." Rather than leave my client to fend for herself through the warp and weft of options and information, I consult with her to understand her needs and vision for home design. Then, drawing on thirty years of experience and industry connections going back generations, I'm able to pull together a customized collection of options to be viewed in my gallery or in the client's home. Because we all know that less is more when it's the right thing. People who know me come to learn that my passion is to find the perfect match between a life and a great work of art. After all, rugs are woven to be lived with -in the everyday- through all the social and quiet moments. Just like people, each handmade rug is unique, and belongs uniquely in the home where it best unifies the color, the style, the light, and the character of the person who acquires it. My reward is to see the look of love in the eye of my customer when they meet the rug of their dreams. Perhaps I see the romance of it all because I am a woman - one of very few Persian women in the industry. As a young girl growing up in my family's rug business, I learned from my father and my grand-father that an oriental rug is not just a floor covering. It is an act of love, a gift given by the weaver to whomever is called to appreciate it. In truth, I do see my work as a calling. My sensibility, my artistry and my compassion have granted me the joy of sharing my love of woven art with many hundreds of our neighbors and friends. It's a life's work I'm grateful for, so my door is open when you find yourself in search of that proverbial magic carpet. 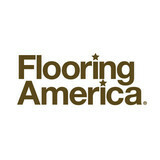 Laigle Floorcovering and Design, Inc.
*Authorized Armstrong Dealer* We are excited and eager at Laigle Floorcovering and Design, Inc. to get to know you and help you with all of your floor covering needs. We offer in-home service and are very experienced in the commercial area. We look forward to meeting you at our North Canaan, CT, location. Thank you for your continued business throughout the years. Laigle Floorcovering and Design, Inc. is more than just a flooring specialty store. We are experts trained in flooring sales and design and will help you find the perfect floor for the way you live. As part of America's leading flooring retail group, our 500-store nationwide buying power guarantees you low prices on thousands of carpet types and other flooring options backed by the most solid warranties in the floor covering industry. 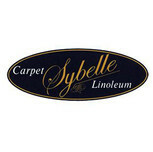 Welcome to Sybelle Carpet! For over 60 years, Long Island homeowners have trusted us to ensure that their properties have attractive carpet that accentuates and complements the décor. We have over 100 years of combined installation expertise. We understand that selecting the perfect flooring can be a challenge, but we strive to make it easy and enjoyable. In our showroom, you can explore one of the largest selections of quality carpet, hardwood, laminate, vinyl, and tile flooring in the Southampton area. You'll meet an experienced, knowledgeable sales team, and they'll guide you through our fantastic inventory. Once you have made your selection, you can depend on our professional installers to lay it carefully and ensure that you are happy with the results. We have over 20 years of installation expertise. You always get our 1-year guarantee on labor and we honor all our manufacturers' warranties. Let us help you find flooring that's comfortable, fashionable, and stylish. We are your one-stop shop for all types of floor coverings. Visit our showroom today to see why we have won awards from the Long Island Floor Covering Association. We pride ourselves on working closely with architects and interior designers as well as individuals to help create the perfect look for both residential and commercial clients. For your out-of-town clients, our on-site workroom can receive and inspect your goods, provide quality binding and serging, custom cutting and fitting, and luxury vinyl tile. Our expertise guarantees the perfect fit for your clients needs, style and budget. We provide quality installation with a topnotch crew and guarantee our work for one full year. Serving the tri-state area. Established in 1960 we are a locally owned and family operated company that has done business thru out New England for the past 48 years. Our commitment to customer satisfaction, quality service and lifetime installation guarantee are some of the reasons we are still in business today. North Haven Tile Carpet One is the ONE source for all you floor covering needs. Our partnership with the largest floor covering cooperative in North America gives us enormous buying power and access to all the major brands, mills, and manufacturers. Because we offer the largest selection of carpet and flooring in the area, you will always find the best prices and greatest selection every day! 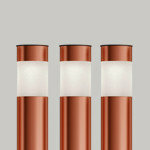 We take the guesswork and stress out of installations. Our own experienced, professionally trained installation crews install all the different types of flooring we sell so you can have peace of mind that your new floor will be correctly installed and will look great for years to come. In business for 25+ years, we are a small family-owned and operated business in Branford, CT. Custom Looms has been producing the finest hand-knotted and hand-tufted wool & silk rugs for 40 years. In 2016, Custom Looms launched its Contract division - providing high quality broadloom and carpet tiles for commercial, residential and healthcare & hospitality. 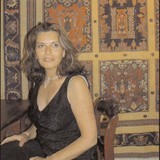 Based in Midtown Manhattan, Solo Rugs specializes in importing and retailing handmade one-of-a-kind area rugs. Our rugs come from countries all over the world, including Pakistan, India, and Tibet, as well as a broad selection of authentic Persian rugs. With thousands of rugs brought in over the past 40 years, Solo has amassed a collection of unique pieces that provides something for everyone. As the trusted floor covering resource in East Northport, Marina Carpet is your one-stop showroom for all of your floor covering needs. We are Family Owned since 1953 serving all of Suffolk and Nassau counties Our desire is to provide the best and largest selection of carpet, hardwood, laminate, vinyl, and area rugs in a friendly, comfortable and helpful atmosphere. We offer: - Largest selection of floor covering in the East Northport area - Design professionals on premise - Complimentary in-home design consultation - Free in-home measuring and estimates - Professional Installation with a Lifetime Service Guarantee 100% Customer Assurance Guarantee. If you are not happy with your flooring choice we will replace it! GUARANTEED!! *Authorized Dealer of Shaw Floors* Goldin Furniture is located in the historic Greenport Auditorium in Greenport, Long Island. The Greenport Auditorium was constructed in 1894 by an architect by the name of Mr. Flack. This building once a cinema treasure through 1938, is now owned and operated by Owner, Andy Aurichio, of Goldin Furniture. The Greenport Auditorium features the Goldin Furniture home store products in a unique and interesting way. The lower level of the home store was used to seat 300 people and now it eloquently showcases the full line of Hunter Douglas window treatments. We also carry La-Z-Boy furnitures and we features a showroom full of Sealy, Sealy Posturepedic and Sterns & Foster mattresses in all sizes and for all budgets. Come visit our showroom! Summit Atelier was founded in 2005 by Brewse Monier - Williams in Brooklyn, New York. After much success in the greater New York City market, Brewse moved the company up to Litchfield County Connecticut in order to expand the business up the Northeast Coast and, at the same time, have greater access to sourcing some of the best quality reclaimed wood available. The leading factors in Summit Atelier’s work ethic is to source the finest reclaimed materials, provide professional handcrafted workmanship and create one-of-a-kind elegance in design. Summit Atelier has developed two prominent styles of reclaimed floors that have revolutionized high-design Commercial and Residential interiors over the past ten years: Reclaimed Parquet Pattern and Wide Plank. First we introduced our Reclaimed Parquet Pattern flooring and furniture created by using the finest American reclaimed materials. 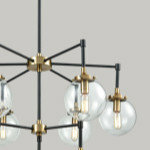 Brewse Monier-Wiliams (founder), “We are proud to be at the forefront of this aesthetic for interior around the world. Parquet is a timeless art form.” Second, in the past 18 months, Summit Atelier has created a complete process to source, craft and install authentic reclaimed Wide Plank floors that create an original 18th century American look and feel. Our newest journey began 24 months ago based on a Japanese tradition that started centuries earlier - the fine art of “Shou-sugi-ban,” (burnt wood.) Again, at the forefront of a movement of unique surfaces, Summit Atelier is creating finest charred wood solutions. With much more in development the future is exciting. We look forward to hearing from you and having you join us in creating your ideal design environment. We know that selecting the right flooring and window fashions for your home can be overwhelming. 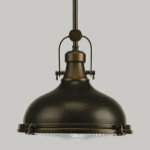 We make choosing the right items for your home...simple! At Flooring & Carpet Warehouse, you will discover one of the largest floor covering showrooms in Suffolk County. We have over 8000 samples of carpet and an extensive selection of hard surface flooring. Our professionals will be pleased to come to your home and measure for all your flooring needs including Carpet, Hardwood, Laminate, LVT, Linoleum and Window Fashions. We feature and install the brand names you know and trust, including Alexander Smith, American Showcase, Legendary Beauty, Softique®, Infinity Nylon Carpet Fiber®, Premier Stainmaster®, Mohawk, Shaw, Armstrong, Congoleum, Legacy, Bruce, IVC, Tarkett, Formica, Quick-Step and many more. Fenway Floors has been serving Westchester County for 3 generations, since 1966. We offer a large selection of carpet, vinyl sheet & tile. We have beautiful answers to your floor covering problems. We understand flooring is the foundation of decorating. 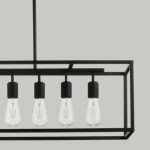 It sets the tone for your home and reflects your taste and lifestyle. At Fenway Floors, it's our job to help you make your shopping experience a positive one. As the premier floor covering showplace in New Rochelle, NY Fenway Floors is your one-stop showroom for all of your floor covering needs. Our professionals will be pleased to come to your home and measure for a FREE estimate and consultation for all your flooring needs including Carpet, Hardwood, Exotic Woods, Tile, Stone, Ceramic, Porcelain, Laminate, Vinyl and Resilient.We feature and install the brand names you know and trust, including Creative Elegance, Designer's Choice, Signature Style, Softique®, Infinity Nylon Carpet Fiber®, Royal Stainmaster®, Mohawk, Shaw, Armstrong, Congoleum, Legacy, Bruce, Teragren, Natural Cork, Mullican, Columbia and many more. Our large selection, quality and value make us the number one flooring store in the New Rochelle area. When choosing comfort, fashion and style for your home, please visit Fenway Floors today!